A place where you can escape the pressures of day-to-day life and find complete rest in the beauty of magnificent natural surroundings. 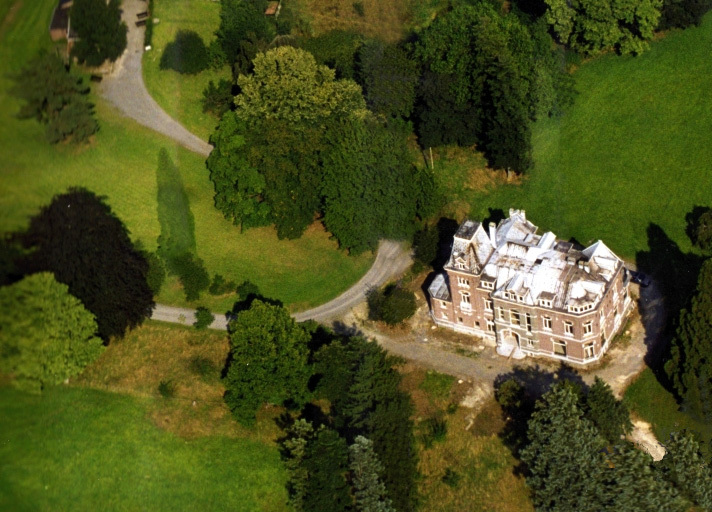 The chateau is located at the geographic centre of northern Europe, in a beautiful park with splendid views which include the town of Verviers. The immediate area is French-speaking, but a 30-minute drive will take you to the German- or Flemish-speaking areas of the country. The estate is situated among woodlands and meadows, but you can drive within 10 minutes to Verviers, where extensive shopping and recreational facilities are available. The chateau is located on a hill with beautiful views from the rear of the adjacent woodland, with behind it the town of Verviers and in the distance national park de Hoge Venen (les Hautes Fagnes). The chateau contains 4 apartments, which differ greatly in size, plus 2 studio apartments. There are 4 floors: basement, ground floor, first and second floor. The total living area, including the balconies, is 1,225 m2. The estate lies at the geographic centre of Europe: the area where three countries with the cities of Maastricht, Liège and Aachen meet. The town of Verviers (and Pepinster) is situated within a 30-minute drive of each of these three cities.